Essiac is the name of its discoverer spelled backwards. Rene Caisse was a Canadian nurse who as fate would have it met the husband of a breast cancer patient who attributed her survival to four herbs used by the Ojibwa Indians to treat malignant conditions. Ms. Caisse took a serious interest in the treatment and observed that the herbs seemed to have a direct effect on the pancreas, reducing or eliminating the need for insulin among diabetic patients. Essiac Tea, organic, 4 oz. Contains the ingredients used to make Essiac Tea. All ingredients were organically grown and harvested in the U.S. Contains: organic burdock root, organic sheep sorrel, organic rhubarb root, and organic slippery elm bark powder. Making Essiac Tea can be quite labor intensive. These capsules are made from the evaporated tea so the dose is quite concentrated. This product is imported from Canada from the only company authorized to use the Essiac name. For adults, take 2-4 Capsules twice daily, preferably one hour before of after meals. As a reminder, discuss the supplements and medications you take with your health care providers. The bottle will last 1-2 weeks if taken as suggested. Contains: Evaporated dry powder from proprietary blend of Essiac Tea containing burdock root, sheep sorrel leaves, slippery elm bark, and Indian rhubarb root. Essiac® Liquid Extract, 10.14 oz. 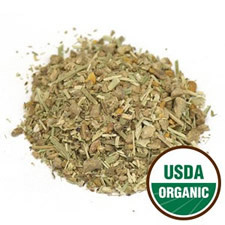 This extract contains the herbs used in making Essiac® Tea, but the herbs are extracted in a solvent, such as alcohol, that is removed at the end of the process. It is therefore very concentrated compared to a tea. Contains: Proprietary blend of Essiac Tea containing burdock root, sheep sorrel leaves, slippery elm bark, and Indian rhubarb root with purified water, citric acid, sodium benzoate and potassium sorbate.